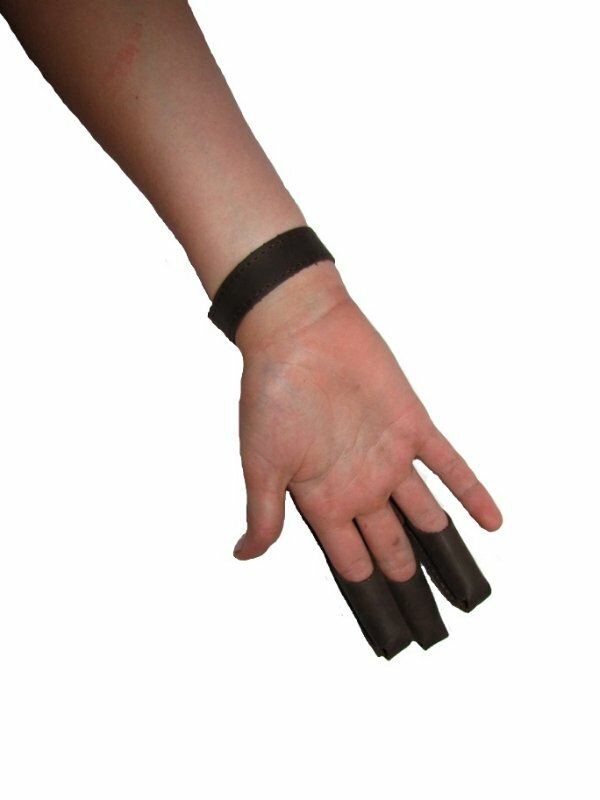 This glove has the seams running along the back of each finger on both sides, this gives a nice square feel to each finger socket. 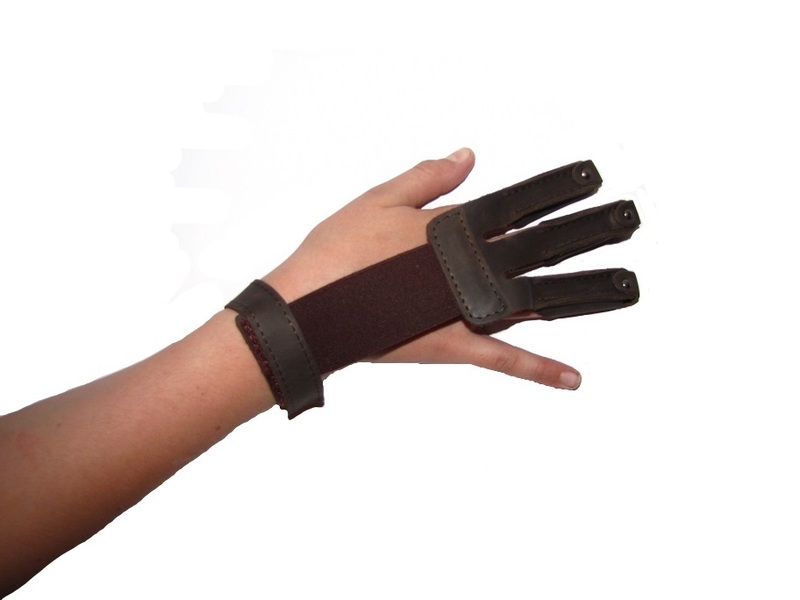 Thicker leather than most gloves, or at least harder leather maintains the shape of the glove. 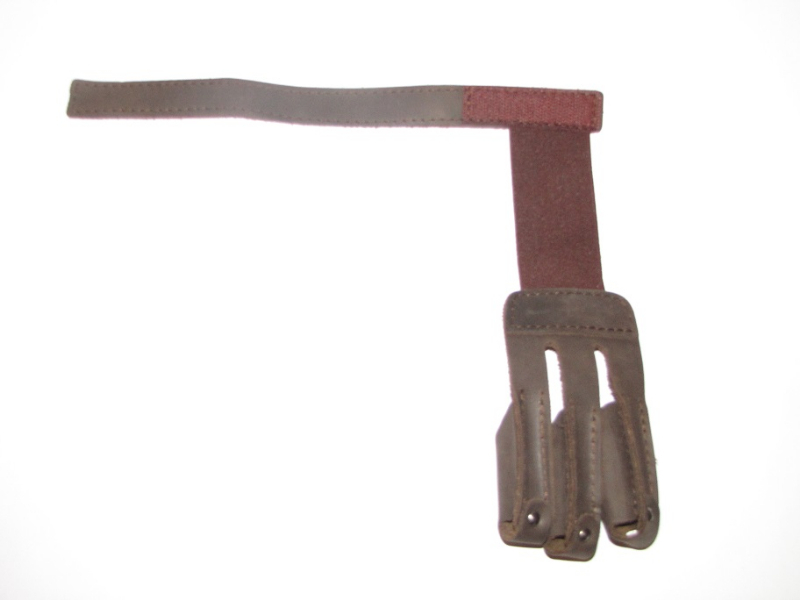 Because leather does stretch over time and especially on an item like this where the fingers are bent and under strain. 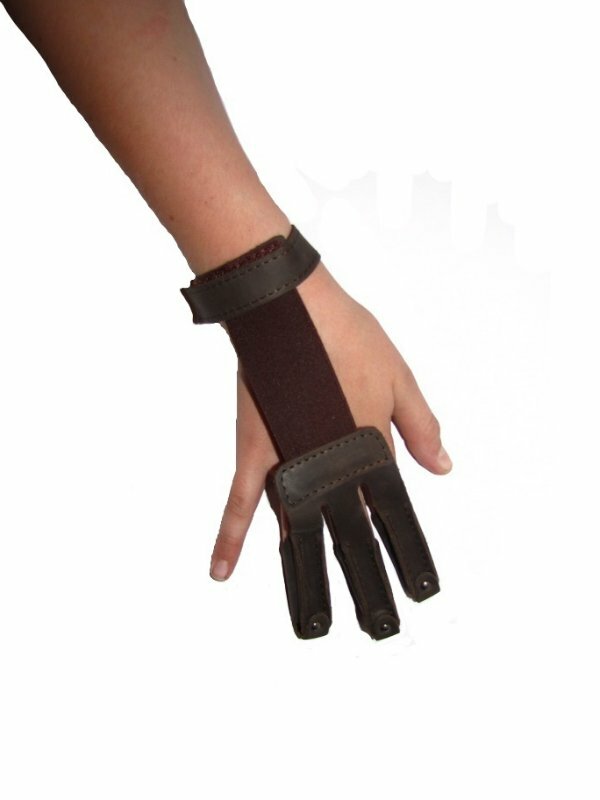 Gompy glove has elasticated part which runs down the back of the hand and connects the fingers to the wrist strap is quite short and after a few shot the velcro can become a little loose. The glove then sits around the wrist at an uncomfortable angle, you will often notice glove shooters unsconsiously twisting the glove back into position between shots.